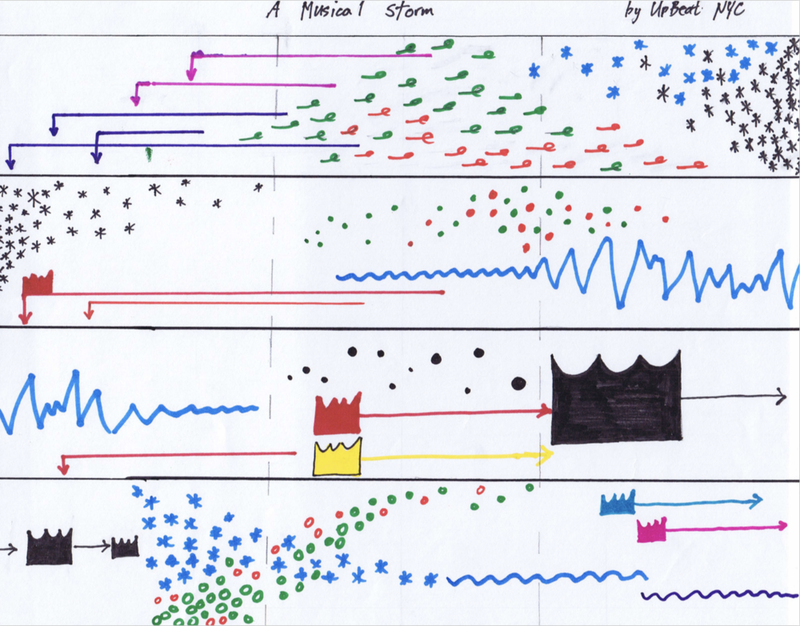 "This was our second experiment in having a large ensemble of youth musicians collaboratively creating a new graphic score piece. The first time was with YOLA, in Los Angeles. The students in the Bronx democratically made all choices — from theme, to overall structure, to notation, to title. The only thing imposed by ICE faculty was the vocabulary of new sounds, which became the building blocks of the piece. With UpBeat NYC and with YOLA, it was amazing to see how fast the students were able to learn a completely new way of performing together. Their listening and non-verbal communication grew by leaps and bounds. And maybe the most surprising thing was to see the absolute ease with which both groups were able to perform their graphic scores without conductor. "Can you imagine? An orchestra of very young musicians going rogue — conductor-less! — like it was no trouble at all. In the performance, the graphic score totally stole the show. And you could send there was some pride from the kids in having created something together." 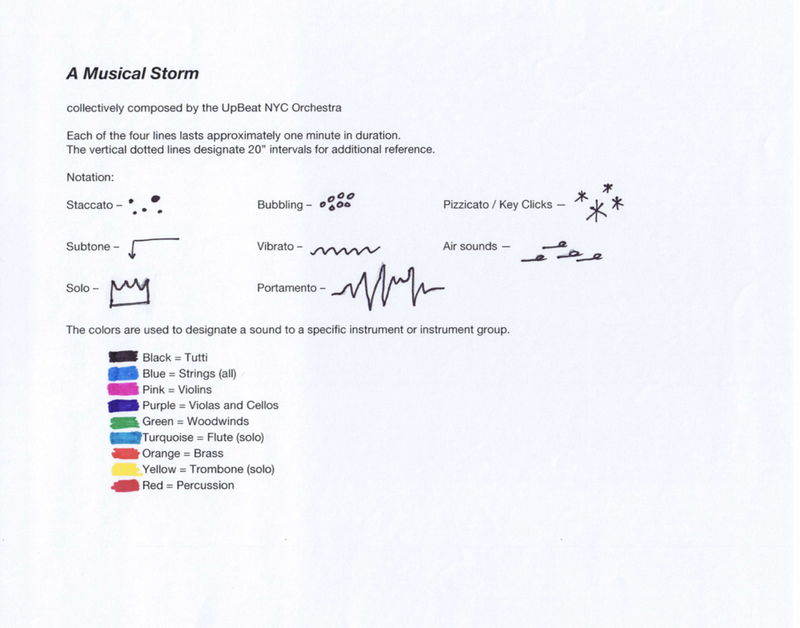 Here's the legend of sounds for the UpBeat NYC piece. The color-coding, by ICE custom, shows which group of instruments plays when. In the actual score, the slight variations with each symbol are open to interpretation. Traditionally, there are three ways to interpret graphic notation which ICE has encouraged, as we've worked with kids over the years. 1. Find connections between the shape and the physical sound, with regard to texture, dynamic, and range. 2. Show how it makes you feel—this is the most abstract response. 3. (This one may not apply to the UpBeat score.) Think of an earthly thing you think the notation represents or reminds you of, and depict that thing in your performance. ICE treasures its collaborations with youth ensembles. After our time with UpBeat and our great experience earlier in March premiering Annahita Abbasi's new work with the San Francisco Youth Symphony Orchestra, we can't wait for our next youth project!